New York, NY – November 2015 – Designers need a range of sophisticated tools to move the creative process forward. To date, the majority of serious design software has been developed for the desktop, completely ignoring ideation. 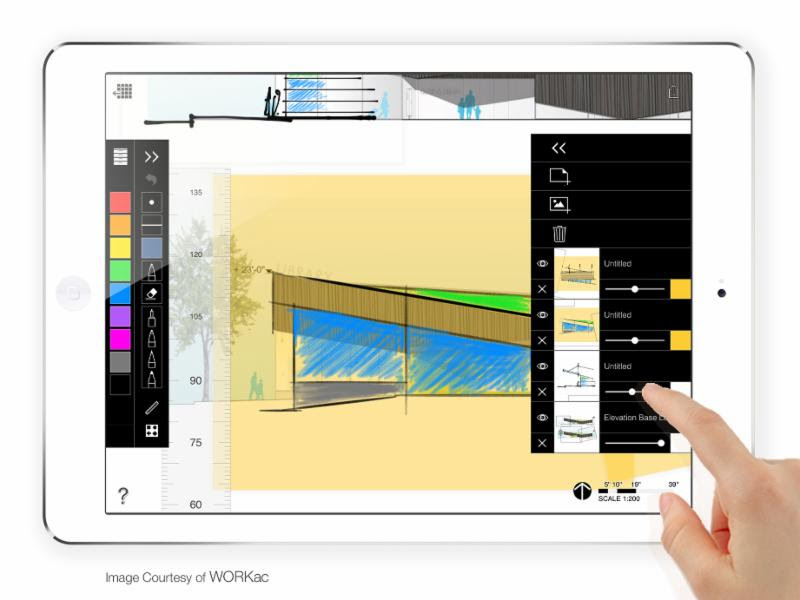 Screen real estate, stylus precision, and horsepower were missing in mobile devices, but will finally be delivered to Architects and other design professionals with Apple’s release of the iPad Pro and Pencil. The race has been on to create “lite” versions of popular desktop applications, in an effort to make design more mobile and social. However, what if what we really need is not a simpler version of our desktop, but newly intelligent versions of our core analog processes–like sketching? Apple’s true gift to designers is not the mobile device, but the touchscreen. The days of rigid sketching with a mouse are over, and a generation of designers has the option to reengage hand drawing and the free flow of thought it engenders. This prospect becomes even more enticing when a sketch is no longer a set of isolated and static strokes on a piece of paper, but an integral layering of data, precision and intelligence, infinitely flexible, yet still easily and intuitively created by the stroke of a hand. 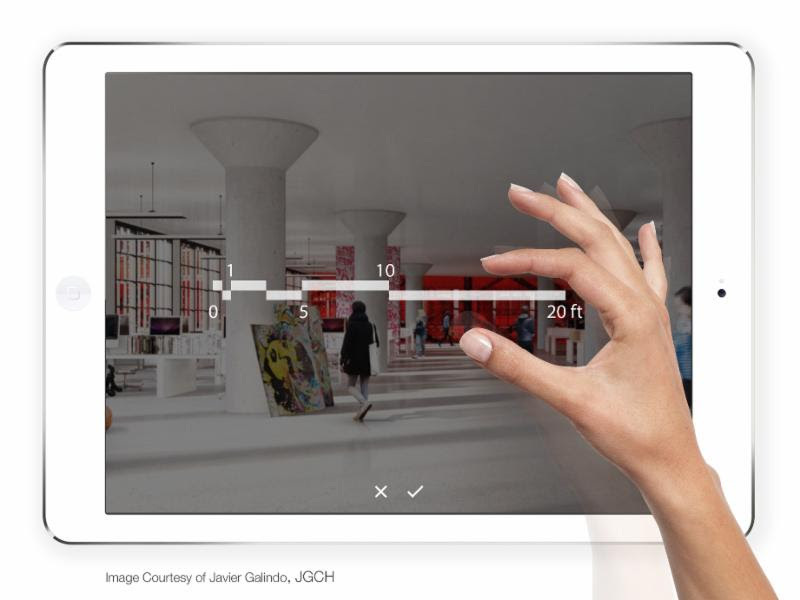 While CAD and BIM programs are instrumental to design development and execution, they will never be capable of bringing the essential context–cultural, historical, political and aesthetic–to the practice of architecture and other disciplines. “We need software that embraces and amplifies human input at every stage; championing the creative thinking and testing that initiates, shapes, and elevates the best design,” explains Anna Kenoff, Morpholio Co-Creator. 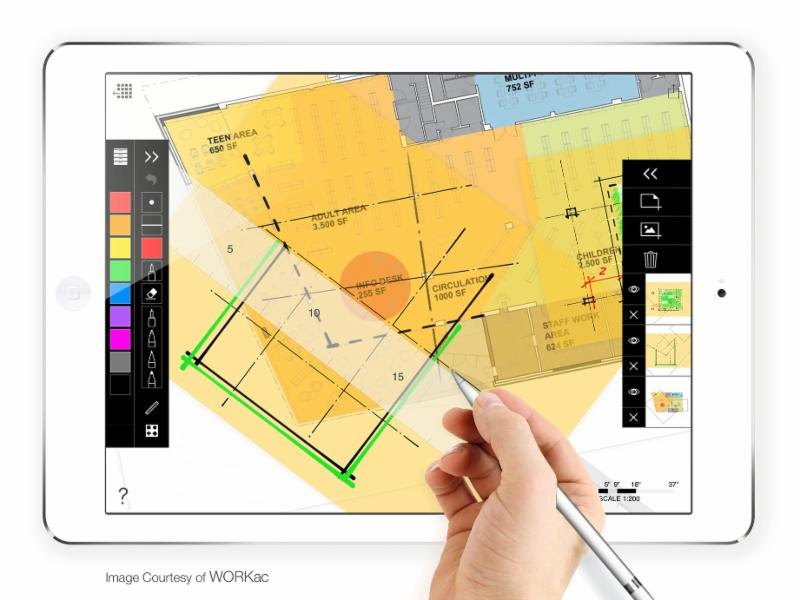 Today, Morpholio introduces Trace Pro, delivering the simplicity, fluidity and delight of the architect’s iconic trace paper sketch combined with the intelligence, flexibility and scaling of CAD. It is a timeless design tool re-imagined to fuse the creative benefits of analog behavior with the power of digital magic. 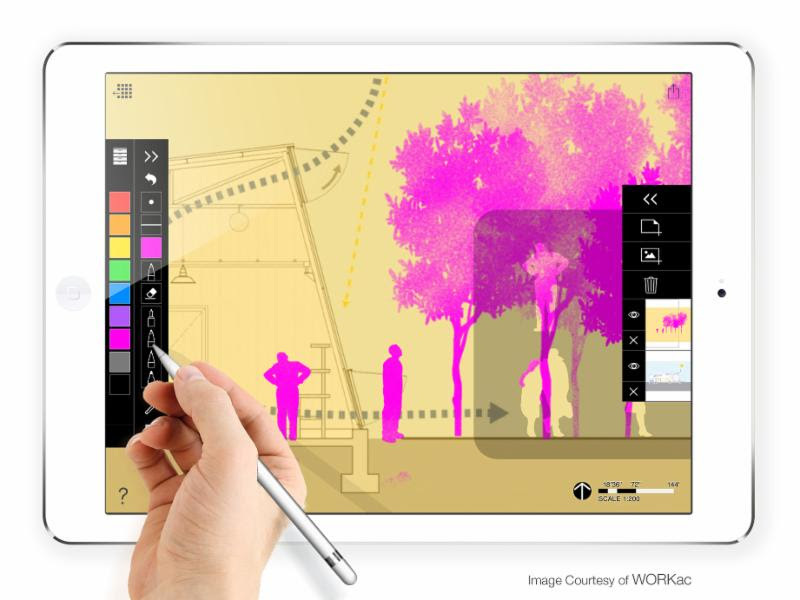 “Software should mirror the gestures, intuition and behavior of the creative,” says Toru Hasegawa, Morpholio Co-Creator. 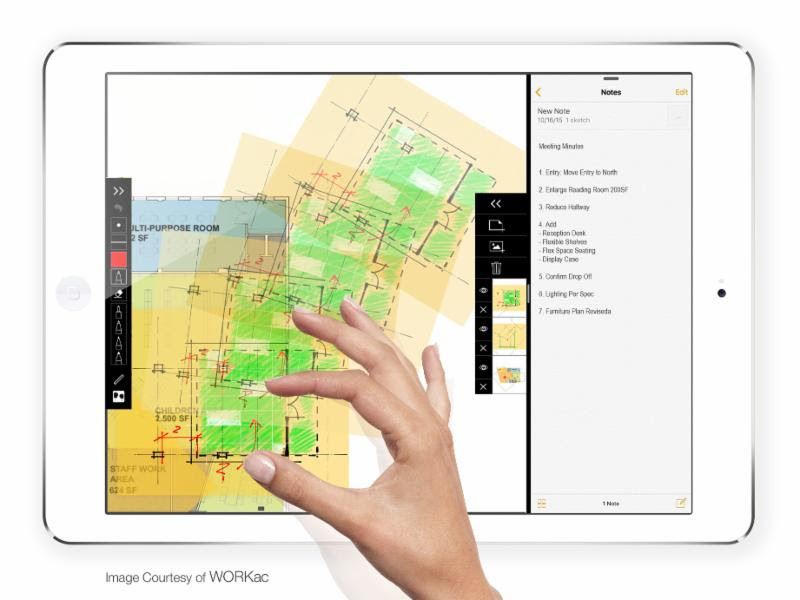 “Trace Pro seeks to amplify it, and in doing so, make it as smart and elastic as possible.” Imagine being able to zoom–from a city, into a house, into a room, into a table–in seconds. Export your entire drawing set to your clients in one tap. Control layers anywhere on any drawing at the same time. Trace Pro is the future of how we work: fluidly between media, and across devices – mobile and desktop together. Zoom from a plan sketch, into a room, into the furniture, and ultimately into the details. Trace offers you this opportunity in one set of drawings and all to scale on independent sheets. One background could give you as many drawings as you want at any scale, in any layout, in seconds. Remember the old clear zip envelope of the architect’s stencils? Now imagine that at any scale and with you at any time. Draw an entire garden in seconds with a tree stencil, or add scale figures to any section. 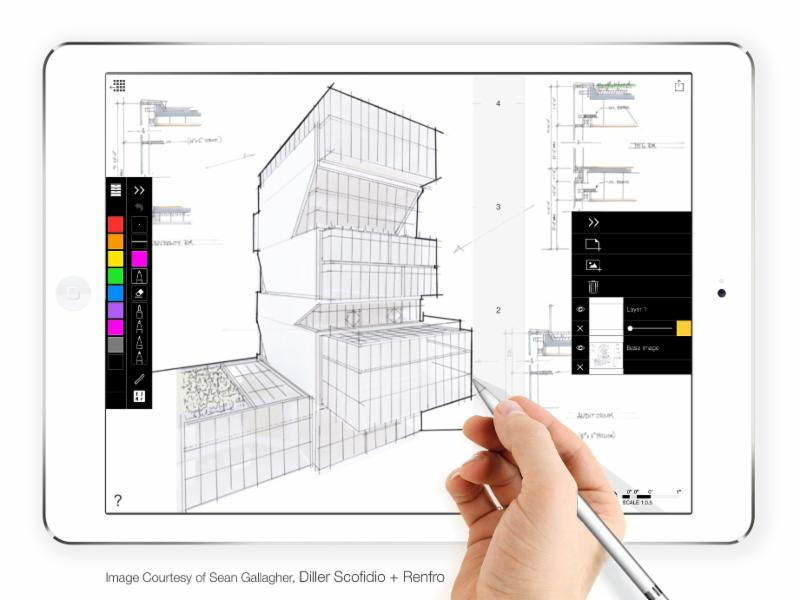 Not just smart, but fun to use, they offer a favorite technique of architectural drawing in a new way. Every layer of Trace is now its own drawing with a life of its own, in order to maximize your control. Hide or open layers while you manipulate their paper type and opacity. Assign a scale or name to a layer to make it a drawing. Use layers to make as many drawings as you need. 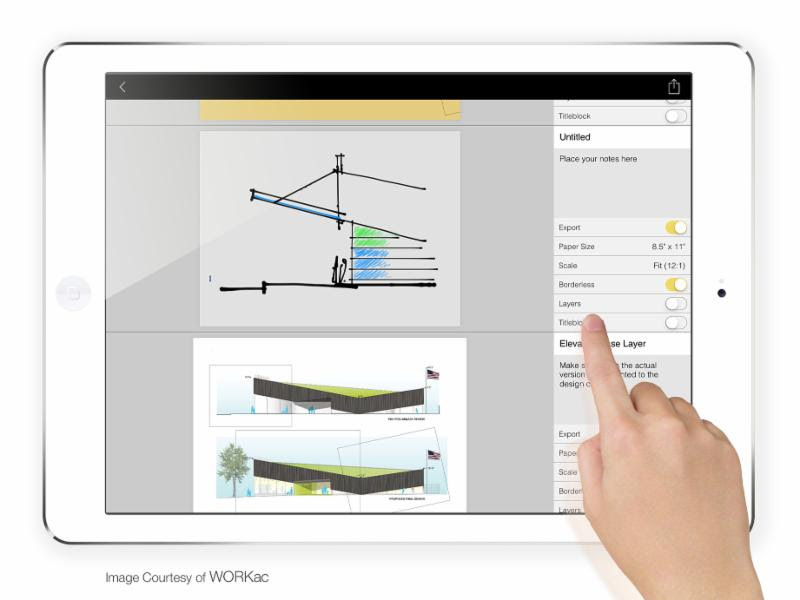 After your drawings are done, break out to discover an entire new world of export. Control title blocks, layers and borders to make a quick set of sketches into set of official drawings in an instant. 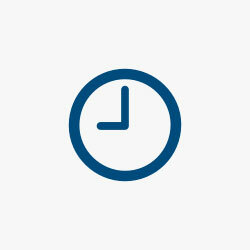 Send to a contractor, colleagues or client in seconds. No drawing would be complete without a desk to draw it on. You can now zoom out of any drawing and use three fingers to move a sheet of Trace anywhere you want. Spread out three options across a layout. Shift a sheet of trace to move a bathroom to another location. Put old studies off to the side. The entire work area is open and easy to maneuver. If designers can be supplied with digital tools fueled by analog thinking, they will advance the early phases of the design process without allowing overly complex software to hijack creativity. Trace Pro is the drawing software for ideation, that optimizes the relationship between designers and devices, making creative work more productive and more meaningful. It is not only a new way of working it is part of the latest renaissance in drawing, imagining the heart of the designer merged with the brain of a computer.